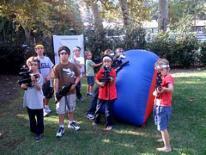 Home - Mobile Outdoor Laser Tag Games For Parties, Groups, Team Building. Like Paintball and Airsoft with No Mess. 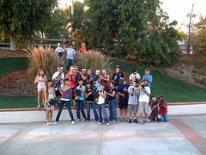 LASER TAG USA is the original outdoor laser tag company serving southern California since 2003. In fact we created the industry here in California from scratch when no one knew laser tag could be played outdoors and in broad daylight. We've established ourselves as the premier standard for fun and unforgettable laser tag parties by aiming to give our clients a memorable worry free experience from the time you book to the end of the party. See the testimonials some of our clients have sent us. We manufacture our own laser tag equipment, called the Ikon-x, so we have an extensive arsenal of laser tag guns (100 units and counting) and can accommodate groups of virtually any size. In fact many other outdoor laser tag companies in the southern California area use our laser tag equipment for their business, i.e. we manufacture the laser tag guns they use. Check out our party package prices designed to fit most budgets. But if you don't see something that suits you don't hesitate to email us at info@ikon-x.com or just give us a call at (818) 266-7742 and we'll work something out together. 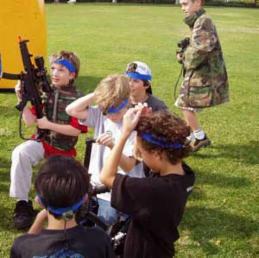 LASER TAG USA is an outdoor team sport much like paintball but without the bruises or the expense of constantly purchasing paintballs to continue play. New technology allows our guns to be used in the daylight and outdoors. They shoot further than paintball guns, are more accurate and are not affected by wind. Since there is no paint, there is no mess. We use infrared, just like your TV remote control. Players shoot an invisible and harmless beam and there are realistic light and sound effects. Your sensors detect when you have been hit. It's entirely safe. Plus there are no legal age restrictions. LASER TAG USA is mobile. 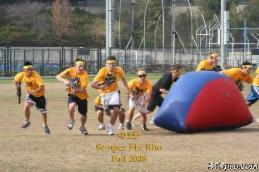 We come to you and set up an outdoor arena where you and your group can play. Since Laser Tag USA programs are portable we can also travel practically anywhere - the beach, ballrooms, parks, parking lots, school grass areas, gymnasiums or wilderness areas. You may choose a simple, yet fun activity or you may choose a more challenging live action role play event for your group. Just wanted to say that we had a great time yesterday. If you ever need a reference, please don't hesitate to use me. 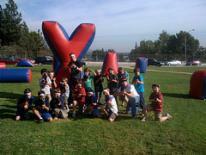 Mobile Outdoor Laser Tag Games For Parties, Groups, Team Building. Like Paintball and Airsoft with No Mess .